Who wears stuff like this? Apparently I think that I do. You see this jump-suit. I ordered it. Yes, I did. I know, what was I thinking? Well, let me tell you…. After I completed my chores and I sat down on the couch to drink my glass o’ wine I obviously needed to do something…and shopping online seemed to be the perfect accompaniment to this activity. 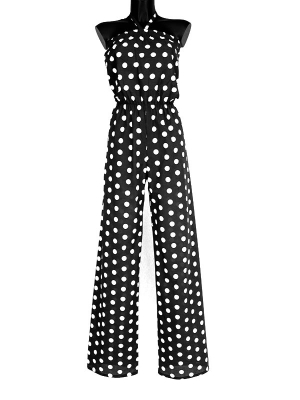 I found this jump-suit at a Tall Clothing website called Tall and All. I’ve never ordered from there and I’m hoping that this suit fits although where I’m going to wear this…I’ve no clue. I can’t promise that I’ll post pictures because I’ve no idea what this is going to look like but in the event that anyone out there has never heard of the website Tall and All, check it out. they even have latex pants. And no, I didn’t order those.